CHARBRIGHT Alkaline toothpastes are made with natural and organic ingredients that help promote stronger whiter teeth, healthier gums, fresher breath and are fortified with Organic Bioflavonoids derived from citrus. Brushing is important, but all toothpastes are not created equal! CHARBRIGHT can help rebalance your oral micro-biome. Our CHARBRIGHT toothpaste is unlike any other on the market. ALPS+MD uses the finest natural ingredients when making our toothpastes. It is packed with organic bioflavonoids that undergo a hi-tech proprietary process on encapsulation to deliver high doses of antioxidants. Our proprietary bioflavonoids also inhibit plaque formation and are anti-inflammatory. In addition, our alkaline toothpastes replenish your oral cavity with electrolytes. CHARBRIGHT uses a special micronized organic charcoal powder that is safe to use every day. Unlike competing toothpastes, our charcoal is not highly abrasive. Its main function is a natural detoxification agent which helps maintain a higher pH to make it more challenging for bacteria to grow. Our abrasive agents are bentonite clay and diamatacious earth which are abrasive enough to remove plaque and tartar buildup but not harsh enough to damage enamel. 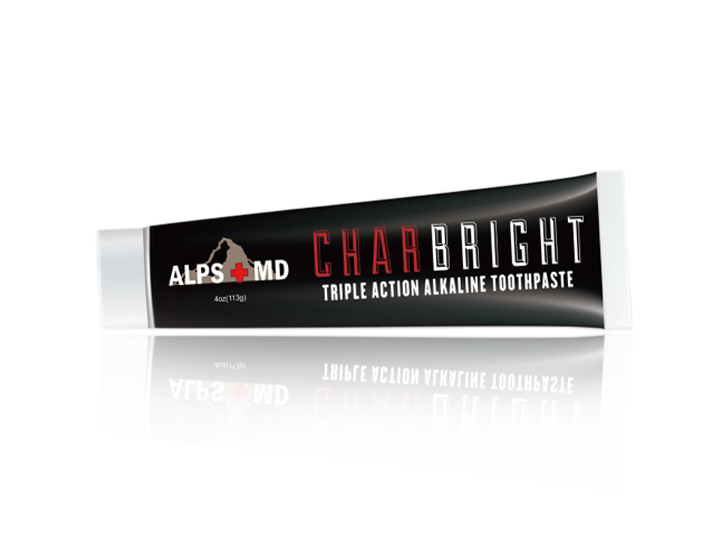 ALPS+MD’s CHARBRIGHT toothpaste is over 95% organic and is naturally flavored with organic essential oils. 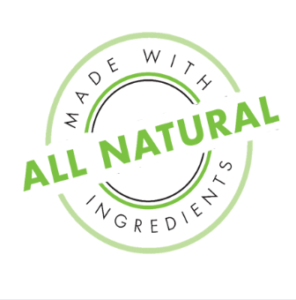 Our products do not contain any fluoride, sugars, parabens, SLS (sodium laurel sulfate) or other foaming agents. CHARBRIGHT Alkaline Toothpastes are: Sodium Laurel Sulfate free and do not contain any other foaming agents. Our CHARBRIGHT Alkaline toothpaste is Flouride Free, Sugar Free, Paraben Free and Saccharin Free and are made with food grade preservatives. Ionized Water, Bentonite Clay, Diamatacious Earth, Calcium Carbonate, Organic Coconut Glycerin, Xyliance, Organic Activated Coconut Shell Charcoal, Guar Gum, Organic Mentha Arvensis (Wild Mint-Menthol), Organic Xylitol, Potassium Sorbate, Organic Clove Oil, Organic Tea Tree Oil, Myrhh Extract, Organic Citrus Bioflavonoids.